Globe Roof Inspection Program (GRIP) is the leading provider of both roof inspections and ladder assists anywhere in the U.S. 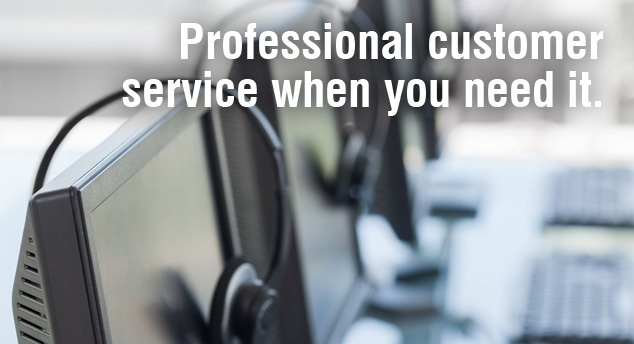 GRIP delivers an unbiased expert assessment in a standardized electronic report to you via the internet. 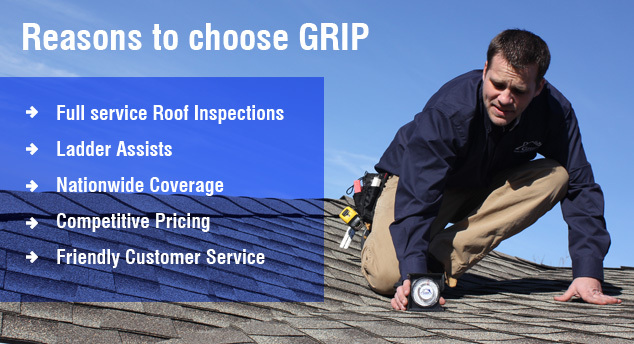 GRIP provides this unique service through our network of dedicated roof inspectors. ALERT: During a CAT / High Volume event GRIP will be accepting new assignments for "Full Service Exterior Roof Inspections" and "Ladder Assist Plus" Services ONLY, in those affected areas, until further notice. 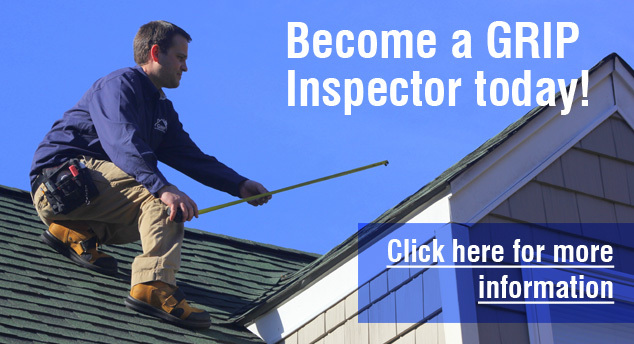 Get paid to complete roof inspections!! Enroll today for FREE and join our growing team. The team at GRIP welcome's you to join our national network of roof contractors who will be providing roof inspections and repair estimates. 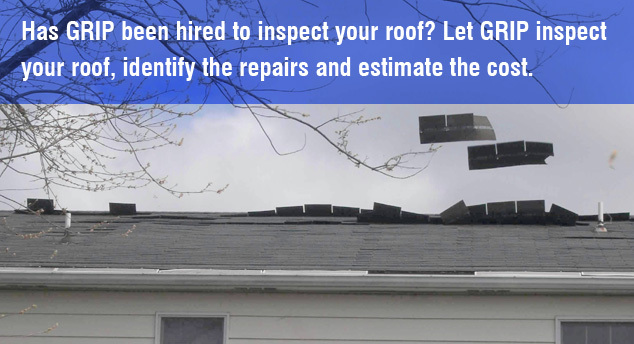 If you have been contacted by a GRIP administrator, or your Adjuster has informed you that GRIP has been hired to look at your roof, here is what you can expect during GRIP's inspection. 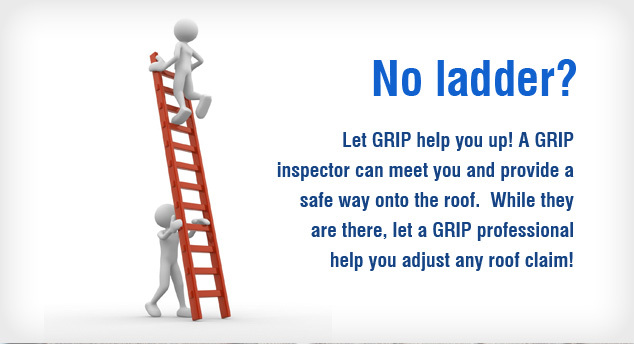 Get a GRIP on your roof inspections! 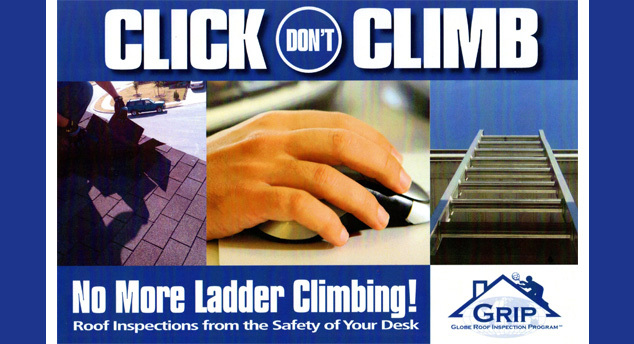 Assign your roof inspections or ladder assists to us from the comfort of your desk. Our descriptive report will provide enough documentation and photos as if you were at the site yourself. See what the Roofing Channel had to say about us! copyright 2014 - Globe Roof Inspection Program, Inc. All Rights Reserved.